Matcha has SO many health benefits. The caffeine gives us an energy boost, the antioxidants help reduce inflammation and support our immune system, a special component of it called ECG helps boost our metabolism and speed up our calorie burning and help to reduce LDL (bad) cholesterol, a special amino acid in matcha also helps increase alertness and cognitive function. So basically if we eat matcha we will be more alert, feel better, be smarter and burn more calories... and who doesn't want all those things! So you better get rolling on these balls :) P.S. 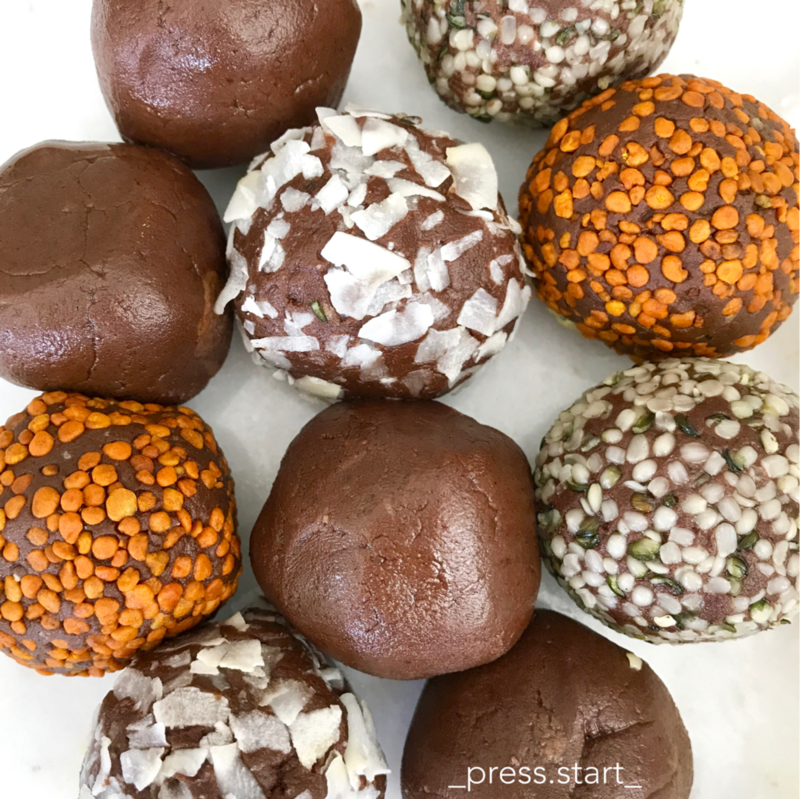 they are super low carb and sugar and full of protein and healthy fats! Maca is a superfood that among many other important things, helps to balance our hormones! And hormones rule the body, so I'd say we want to keep those balanced. The taste of these little energy bites reminds me of snow ball cookies (if you have ever had those) because the cashews give them a creamy yet crunchy texture. These are also low carb and packed with protein and involve ZERO cooking, hooray! So keep those hormones in check and nosh on these. 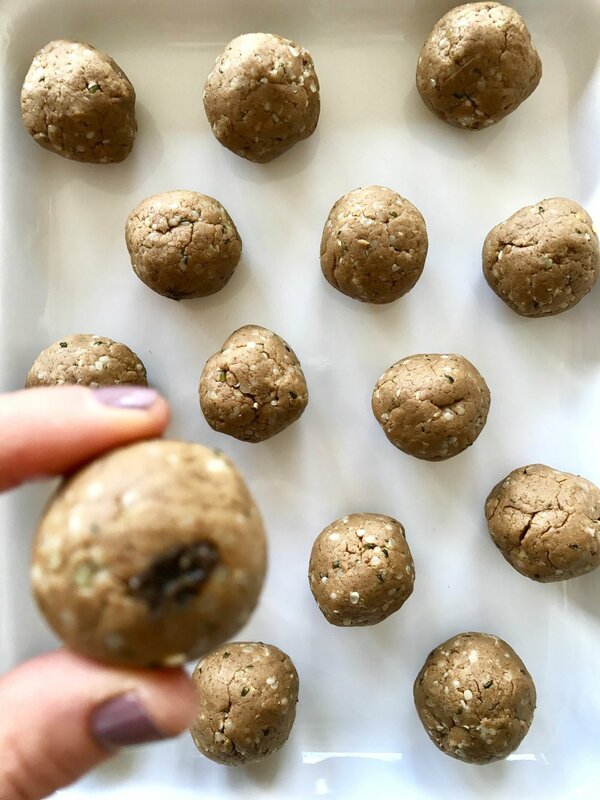 These carrot cake energy bites are a great way to get in a bit of veggies when you're craving something sweet. 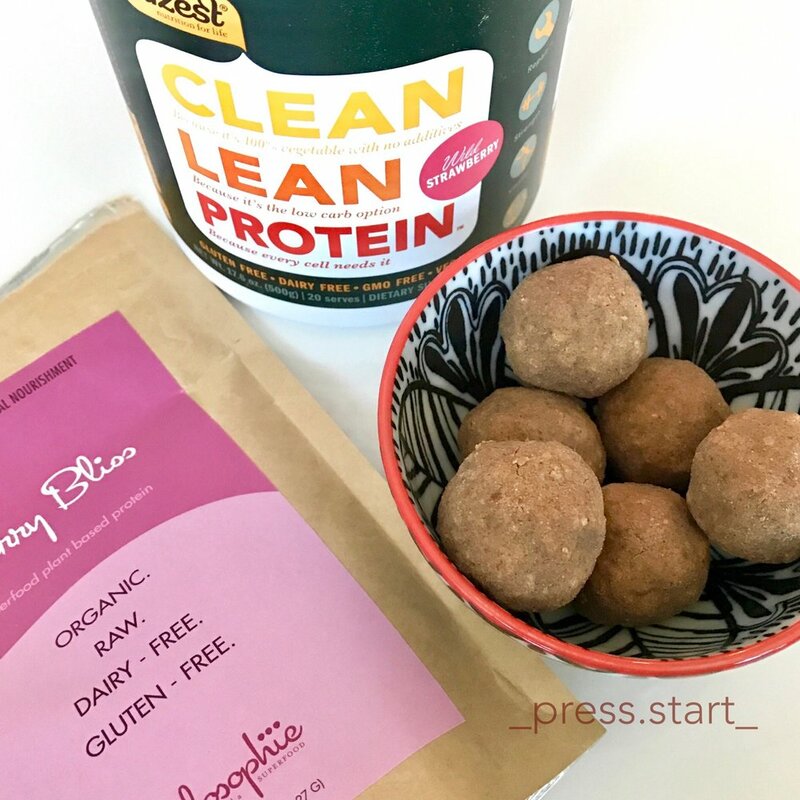 These protein-powder free energy bites are perfect on top of yogurt for breakfast, by themselves as a snack or for a sweet treat for dessert. The best part is, they're no bake! Who loves pumpkin spice? Me (and the whole universe). Who loves donuts? (also the whole universe). Who loves protein? (me... and maybe some of the universe...). Anyways I combined the three to create these pumpkin spice "pro-nut" holes... like protein donut, get it?! You will love them if you live in the universe, I promise! Some of my other energy bites are a bit "adventurous" with the flavors. These are a great crowd pleaser - who doesn't love peanut butter and honey!? Plus, you will definitely have all these ingredients in the house so no grocery shopping needed. 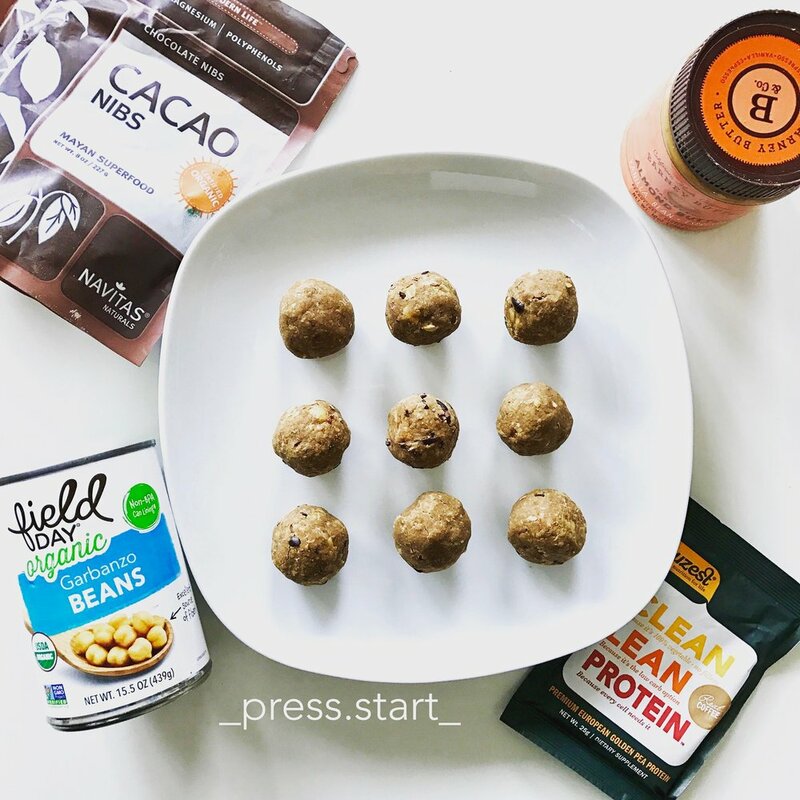 These provide the perfect pre or post-workout snack since they are full of healthy carbohydrates and protein but don't have TOO much refined sugar. 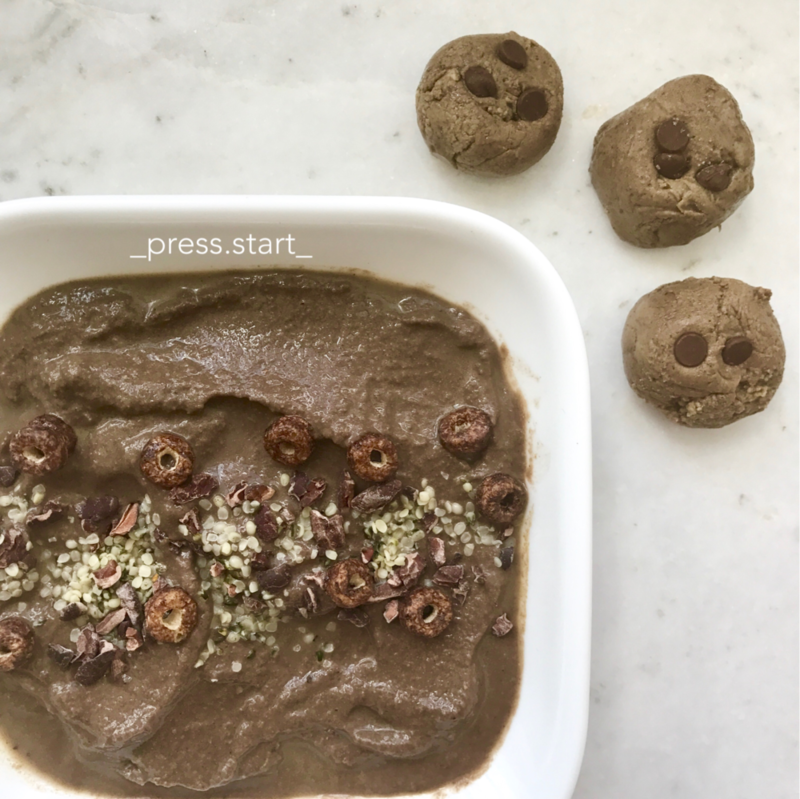 These little bites are loaded with protein, and the cacao gives them tons of magnesium, iron and antioxidants and low on sugar. These use dried mulberries, which are about 1/10th the sugar of dates and contain tons of phytochemicals themselves - including iron, vitamin C, vitamin K, potassium, calcium, and plenty of dietary fiber. Now to the important part - they taste like little bites of fudge with bursts of crunch inside. Satisfy your sweet tooth here without the guilt. The inspiration from this recipe was from in it 4 the long run blog. I just increased the protein and reduced the sugar a bit, still came out super yummy! Thanks girl! These are little bursts of energy and joy (for your mouth and body!) 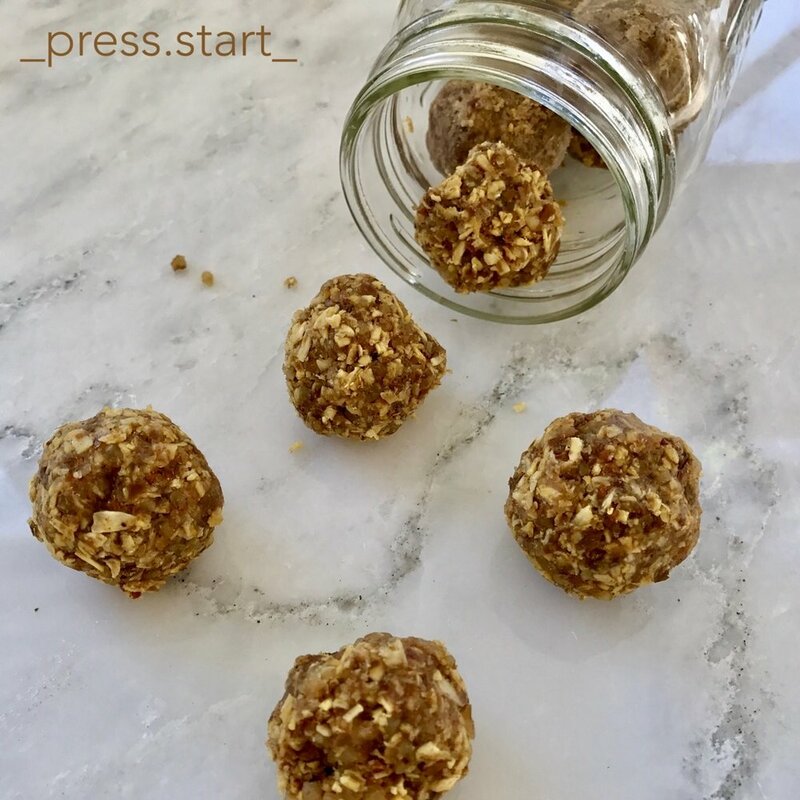 Unlike a lot of my other energy bites, they are nut-free for those who are allergic or watching their fat intake. IF you read any of my posts you know fat is NOT the thing to cut down on ;) They're so quick and portable and have the super immune boosting and inflammation reducing powers of PUMPKIN! Hope you like them! 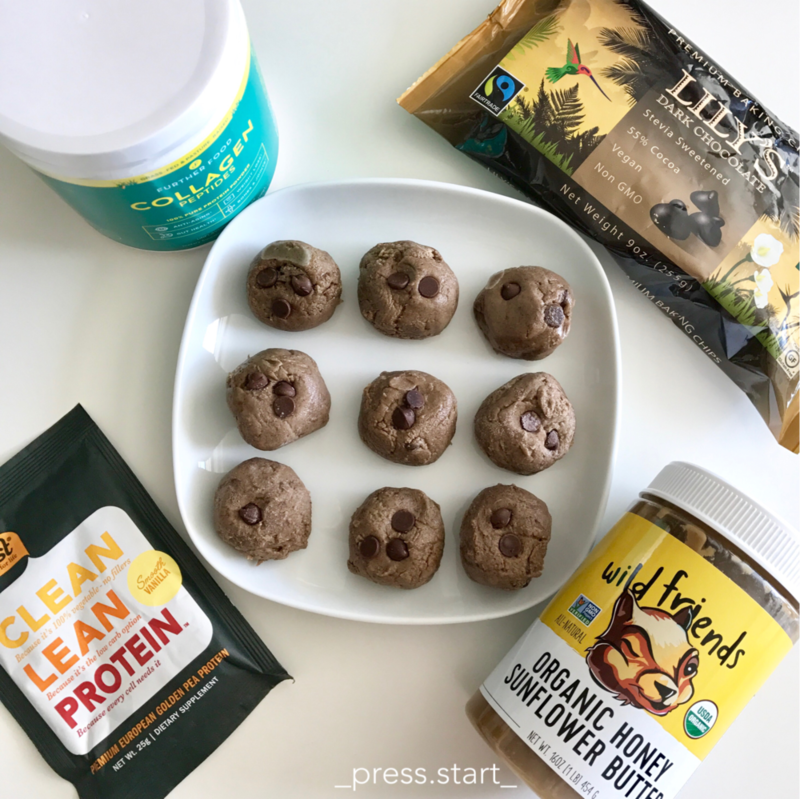 Only 6 ingredients in these delicious little bursts of energy! These tiny treats are loaded with power & flavor! There is no added sugar, refined grains or oil. Perfectly portable snack or eat them as a topping for yogurt or a smoothie.